"Tamron's newest fast standard zoom lens, SP 24-70mm F/2.8 Di VC USD G2 (model A032), was announced as the winner of the Lucie Technical Award for Best Medium Range Zoom Lens at the third annual Lucie Technical Awards ceremony held October 25th during the PhotoPlus Conference + Expo at the Jacob K. Javits Convention Center in New York." I pulled a few more images by different artists to share in today's post. Remember, these are screen shots with outstanding quality - so, imagine what the original files are like! As one of the industry's finest lens manufacturers Tamron never slows down in raising the bar on the creative tools for photographers. Winning a Lucie Technical Award is quite an accomplishment, but to truly appreciate the SP24-70mm lens visit a Tamron dealer and do your own test drive. You won't be disappointed! Interested in more information about this new lens, just click on the thumbnail to the right. And, a big congratulations to the Tamron team for some well-deserved recognition. To see more of Oliver Güth's work just click on this image. Every morning I take a quick scroll through YouTube using the search box to check out what's new from some of the different companies in photography I admire. I'm always amazed at the never-ending flow of good solid content, usually in short quality-driven videos. There's so much FREE support in YouTube waiting for you to check it out. 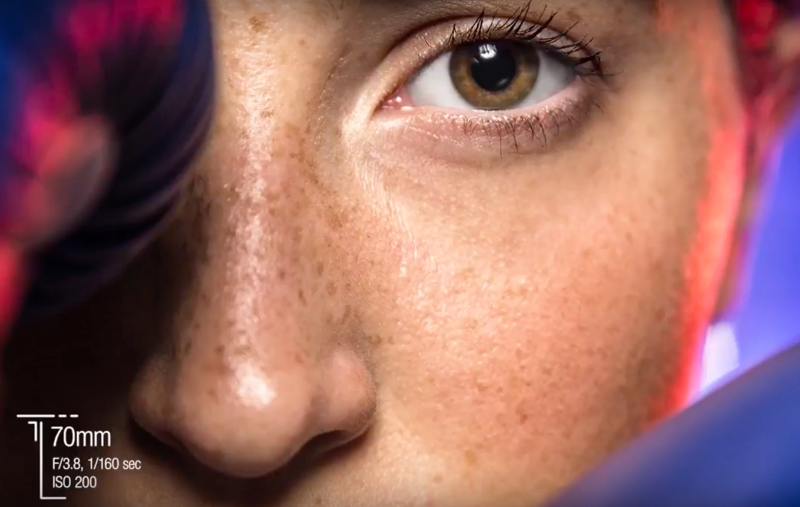 One of my first stops is always Tamron USA, and this new video featuring Oliver Güth in action with the new SP24-70mm G2 lens hits several excellent points. Besides introducing you to a new lens with a long list of outstanding features, pay attention to the way Tamron tells the story. 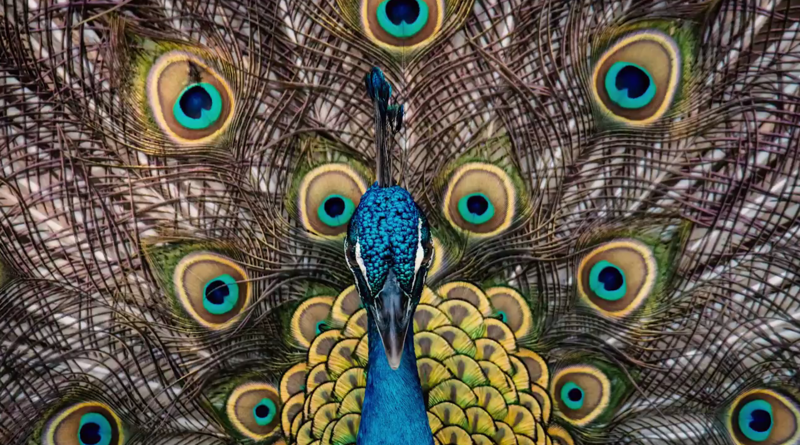 First, the video gives you three minutes of watching an accomplished artist at work. The soundtrack is strictly music, but you don't need dialogue to understand what Oliver is thinking. 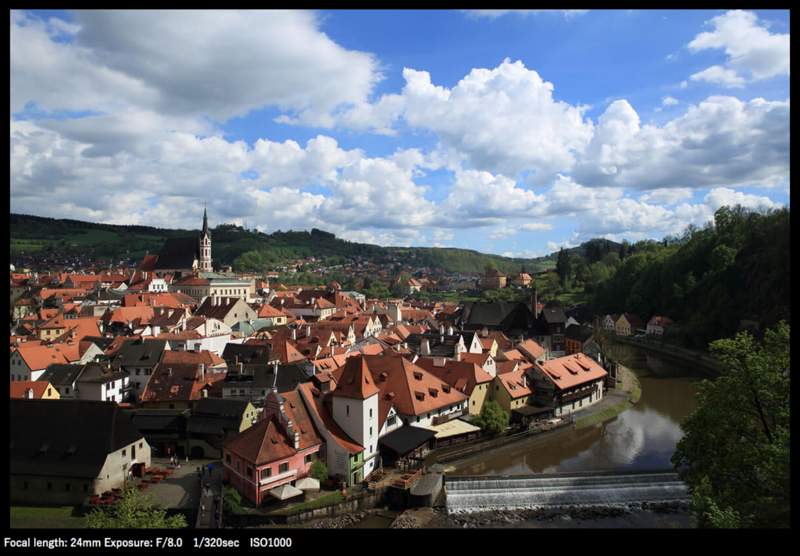 Second, after many of the shots, Tamron shares the final image along with the specs for each. (My screen grabs don't do them justice, but I wanted you to see how they've set up this vital component of the story.) Third, pay attention to the way they tell the story of this lens and think about how you'd tell your story. For those of you rolling your eyes at the idea, great storytelling is about sharing the key components of something in a way that's both entertaining and informative. Tamron does an outstanding job in taking you through all the reasons why this new SP lens is one of the very best, and at the same time introduces you to another photographer. Now, think about applying the same kind of storytelling to a video about you, your images, clients, and business. 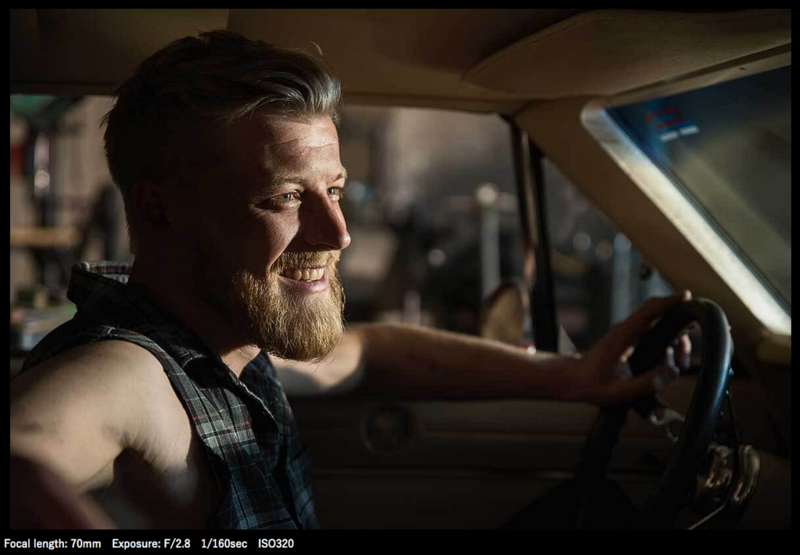 Want to know more about the NEW SP24-70mm F/2.8 G2 lens? Just click on the thumbnail to the left and visit Tamron's website. It's loaded with great information about all of their outstanding lenses! And, if you don't already subscribe to Tamron's video channel, just click on the subscribe button to the right of the video. It's the best way to stay on top with one of the most educationally driven companies in photography! 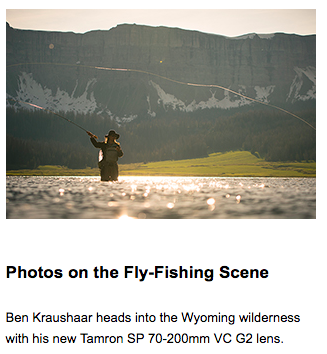 Every month Tamron sends out their free newsletter, and it's always loaded with great content. It's also a link to some terrific stories, images, and information. I pulled two of my favorites from the October edition but then wanted to share their "Lens of the Month" spotlight feature too. Note: My first apartment was in Boston and my career in photography started at Polaroid, then having a worldwide employee population of over 20,000. That first apartment was just a few blocks from where Erica Robinson shares images captured with Tamron's SP 24-70mm G2 lens. So, I couldn't share this post without including her images of one of my most favorite cities! What I love most about so much of Tamron's content is their ability to give your useful information, regardless of what you're currently shooting with. They're always focused on introducing you to great artists and ideas to help you raise the bar on your images. If you're not currently on their newsletter subscriber list, signing up is just a click away! 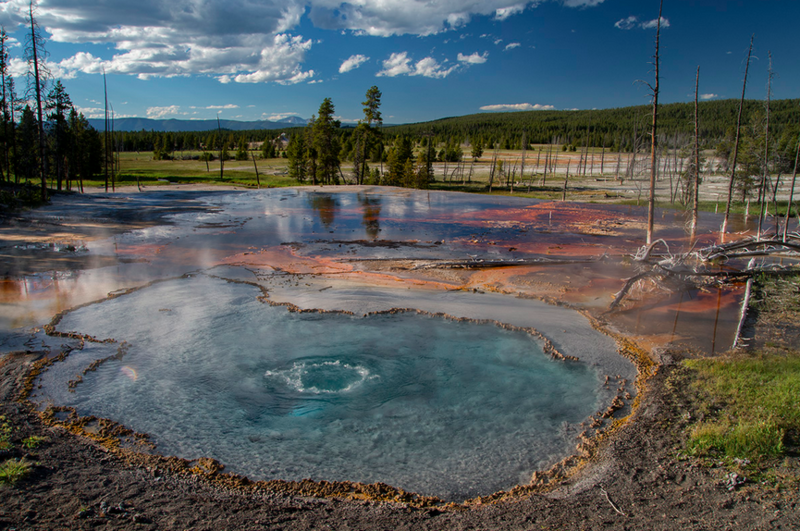 Lens of the Month: Erica Robinson and the SP 24-70 G2 (A032) lens. Erica Robinson, who has long documented her hometown of Boston with her camera, recently put the new Tamron SP 24-70mm F/2.8 Di VC USD G2 lens to the test there. "As photographers, we talk about how we see things, and I see things differently than others," she says. "Knowing Boston as well as I do, I wanted to put this lens through its paces in capturing the unique details my city has to offer. The 24-70 G2 was ideal for this test drive. It's the perfect focal-length range for someone who just purchased their first full-frame camera, as it offers a bit more of what we see as far as the wide angle, in terms of our natural field of view. And, of course, it offers a maximum F/2.8 aperture and the Vibration Compensation (VC) feature, which allows me to handhold and still achieve sharp images even at dusk and at night, which is when I love to wander around the city." 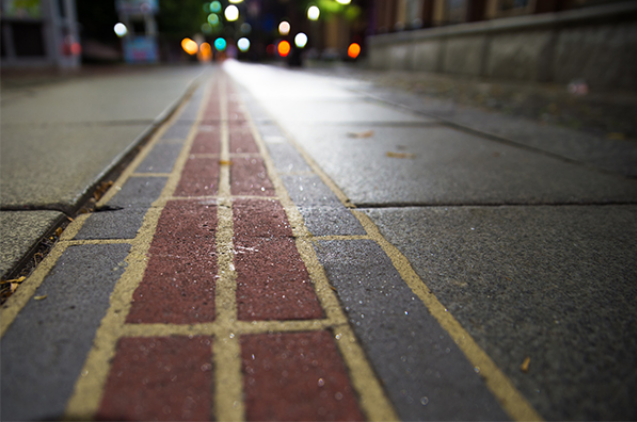 The Freedom Trail is one of Boston's most famous attractions. It's a 2.5-mile path that winds around the city, past 16 sites that played an important part in the city's history, from churches and meetinghouses to burial grounds and museums. I took this photo of a section of the trail on the other side of the State House, near where Faneuil Hall and Quincy Market are. I wanted to give the trail particular focus in my frame exactly because it's so important to Boston's history. Although people are always following the trail, they often simply walk over it and don't really pay attention to what it looks like. To get the unusual perspective I wanted on this well-known landmark, I got down low—not fully lying on the ground, but pretty close. The 24-70 G2 allowed me to selectively focus on the part of the path in the foreground before softly blurring into the background, where those colorful lights appear. 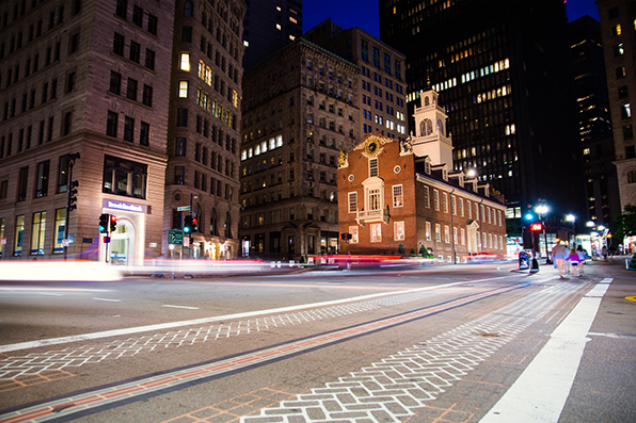 One of the sights along the Freedom Trail is the Old State House, built in 1713 and once at the center of the events that spurred the American Revolution. I decided to create a time-lapse video here, shooting over a period of two hours and 40 minutes. I shot one frame every minute for the duration, then combined those frames later on. However, when I was going through the images afterward, I spotted multiple still frames that could stand on their own as individual images. This one especially stood out. I'd really wanted to make sure the State House was the focal point, so I kept it low, as well as made sure the leading lines of the street and the car lights headed straight in that direction and drew the viewer into the State House as the focus. One of the things I like to do most in my hometown is find and showcase details that other people may never notice. 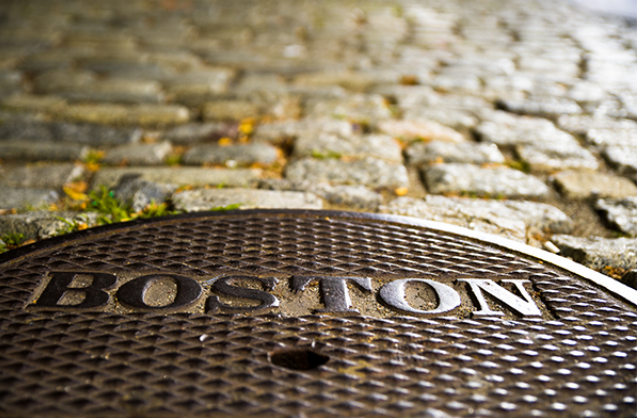 That's why I decided to highlight this manhole cover—it's a definite urban detail, but also place-specific in that it has "Boston" imprinted right across the front. The illumination was coming from the top right, from a streetlight, but I had to position myself a little further back and zoom in to be at 50mm and make sure my shadow was out of the image. I wanted to create the photo so that the light was warmer on one side and darker on the other, where it would fall into itself and not be all one tone. Using the 24-70 G2, I was able to shoot at the shutter speed I wanted, handheld, because the Vibration Compensation kept everything stabilized for me and ensured the image came out sharp. The Bell in Hand Tavern is one of America's oldest watering holes. It was established around 1795, and for more than 200 years since, imbibers have come to partake in its offerings. 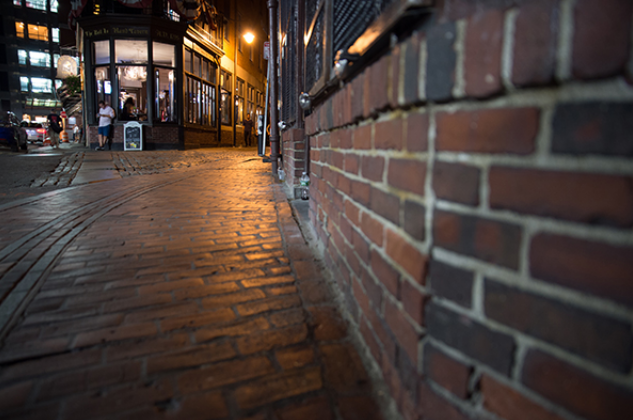 It helps that it boasts a very cool structure and is surrounded by cobblestone and brick—it has so much to offer as an authentic representation of "old Boston." I used the lens here at the 24mm end so I could capture as much of the scene as possible. I also wanted to capture people in the image, first because that's such a big part of its overall vibe. But it's also because when you see destination shots, it's sometimes hard to tell exactly how big a structure or building is. Adding something we have a value for in our head—whether it's a car, dog, or person—can help add a sense of scale and place, especially for a viewer who's never seen that scene in person. Click for more info on the Tamron SP 24-70mm F/2.8 VC G2 or check out the entire Tamron product line here. Ken and André are back on the road meeting up with special guest, Tamron Image Master David Akoubian. David's no stranger to SCU, and just a few months ago joined me on one of our most popular "Why?" episodes to date. They're in Apalachicola, a small Florida fishing town on the Gulf of Mexico. 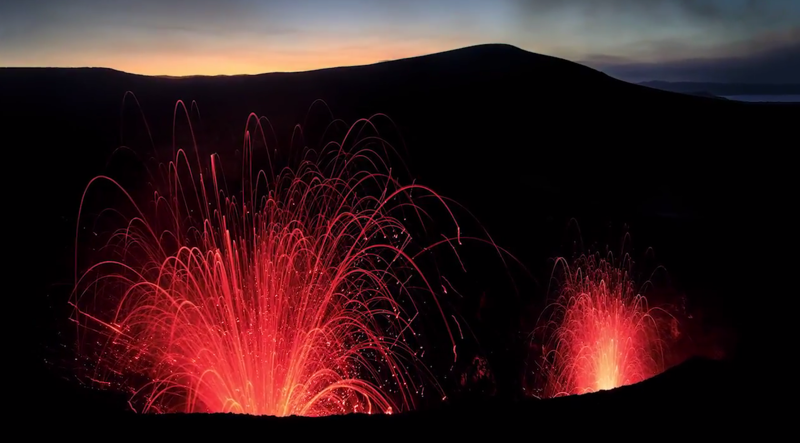 It's known for its seafood, wildlife and as you'll see in the video, one opportunity after another for beautiful photographs. 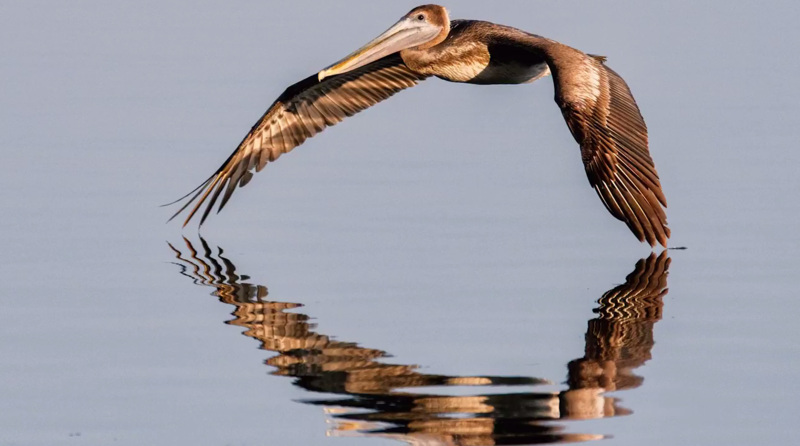 They're shooting with Tamron's new SP 150-600mm G2 lens, and the results are stunning. "It's always great going out with a pro in a new area, especially when it's in their wheelhouse!" 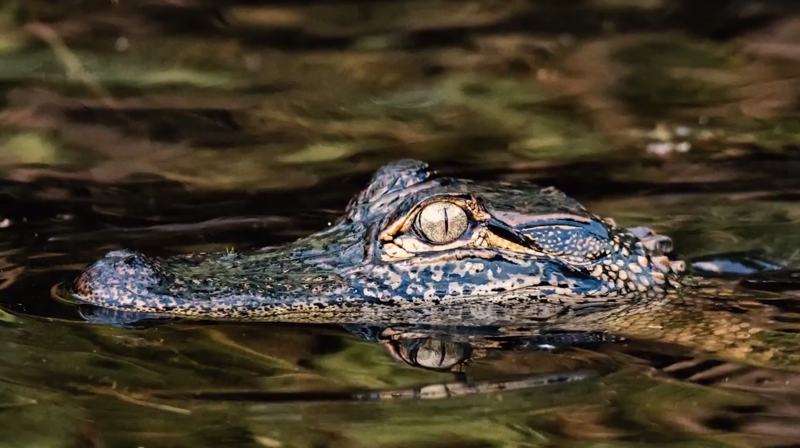 As much as this video gives you a chance to see the SP150-600mm zoom in action, I love the opportunity it gives everybody to get to know David Akoubian. He's a talented artist with an incredible passion for the craft. He shares a lot of great insight into the area and the people of Apalachicola. 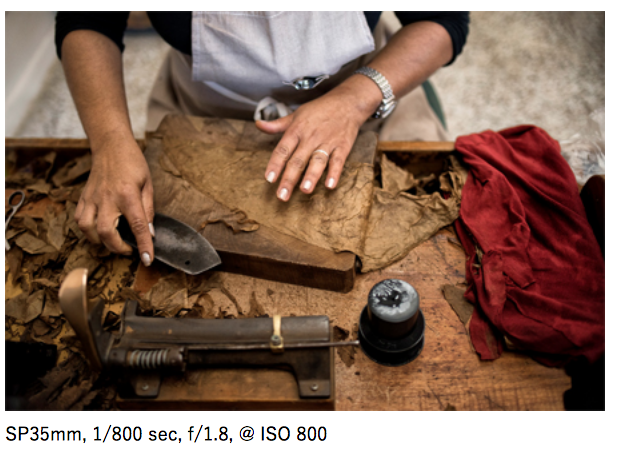 If you haven't checked out Tamron's complete lens line, it's time to visit a Tamron dealer. Just click on the SP150-600mm lens below. 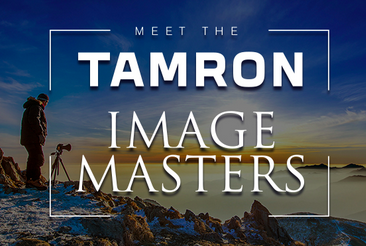 Tamron's not only a leader in manufacturing outstanding optics; but they're also leading the way in education and programming to help you raise the bar on the quality of your images. I love these short videos because they're real world and real applications. Shoots Media is at the Lamborghini dealership in Paramus, New Jersey working on their upcoming short film, "Adrenaline." I love the way they're putting Tamron's lenses to the test, but what about that yellow Lamborghini? "The vibration compensation and optical design of the G2 lenses is incredible. As a director, consistency is huge for me. To be able to switch off between a wide and tight angle lens and still hold the same color profile and sharpness was a huge bonus." The short video below is only a one minute piece, but you'll still pick up a couple of great points on technique. Then wander into your Tamron dealer and check out their family of outstanding optics for yourself. Click on either image below to read the specifications on each lens or the image below to visit Tamron's full product page. 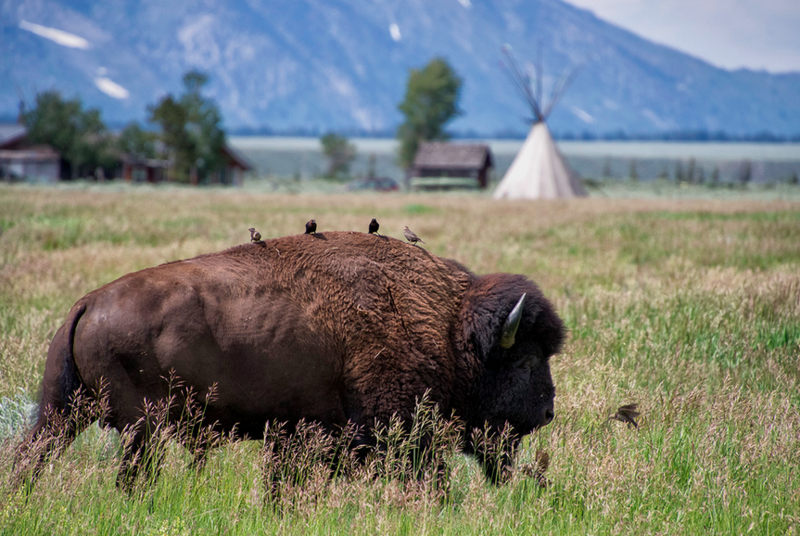 Just click on the lens to read the product highlights on this remarkable new telephoto. 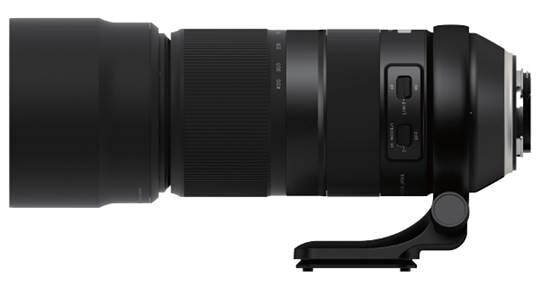 Perfect for "Tamron Tuesday," Tamron USA, Inc. announced just a few days ago the development of a new ultra-telephoto 100-400mm F/4.5-6.3 Di VC USD zoom lens (Model A035) for full-frame DSLR cameras. The full launch is anticipated before year end. The first paragraph of the press release says it all - the lightest weight in its class and it's a 100-400mm zoom! 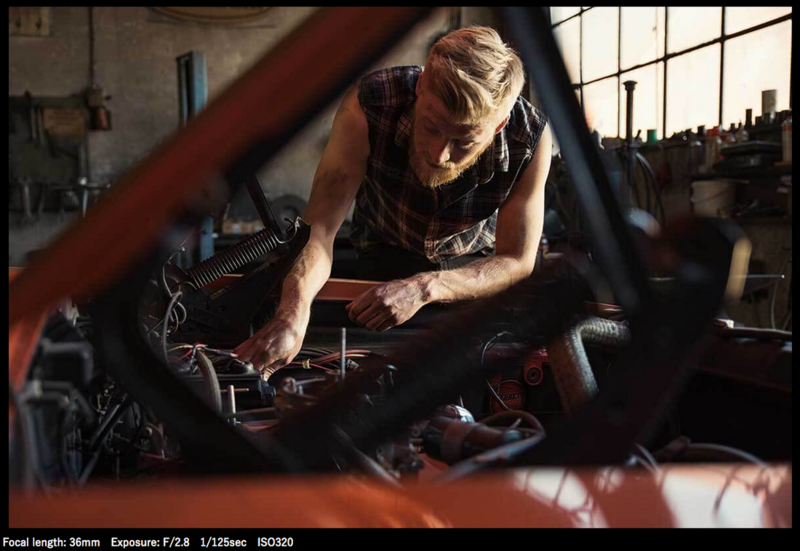 The advanced optical design of Model A035 includes 3 LD (Low Dispersion) lens elements for greater aberration reduction and Tamron's original eBAND Coating for superior anti-reflection performance. At 39.3 oz., the new lens is the lightest weight in its class and features magnesium material in key areas of the lens barrel to improve weight reduction, strength and portability. The press release will take you through the highlights of this new member of the Tamron family. As I've written before, Tamron isn't just building great optics, they're helping artists capture greater images! Photography's Favorite Duo - The Boys are Back! Below is the first episode of season three with the "Dynamic Duo" of Ken Hubbard and André Costatini, two of my favorite Tamron artists. What made me enjoy this even more than past episodes is their traveling buddy, Michael Gilbert. Michael's been featured several times here at SCU, as well as in a "Tamron Talks" episode in 2015. Our friendship goes back easily twenty-five years. 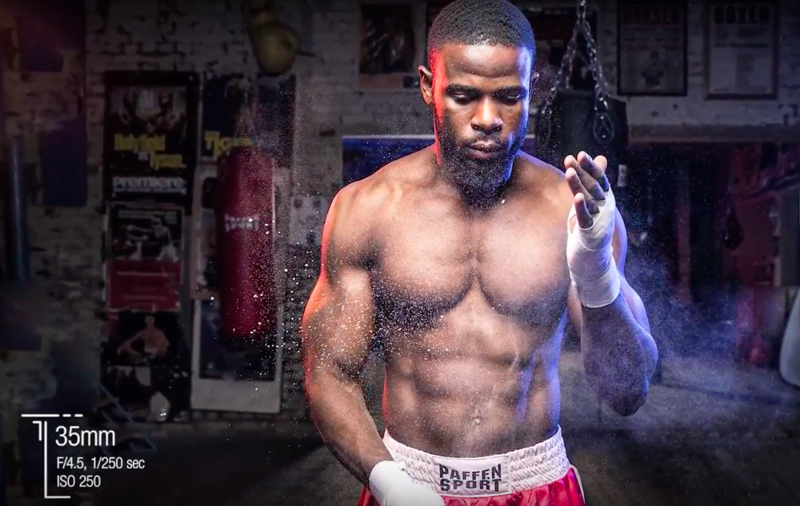 André and Ken definitely have a couple of the best jobs in the industry, and with a sidekick like Michael they hit some truly wonderful points on composition, lighting and even Tamron's new moisture proof construction! This is the first episode, so the fun of following Tamron this fall just got a little better! 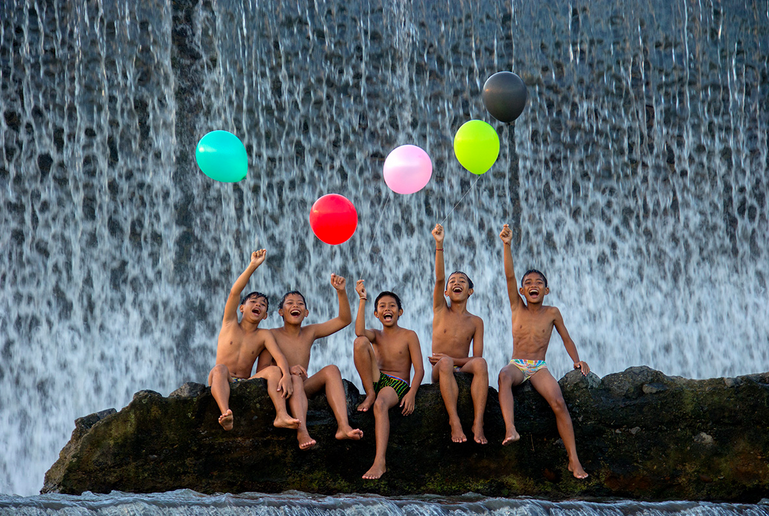 If you haven't checked out Tamron's full product line, it's time to get into your nearest Tamron dealer. Tamron isn't just building outstanding lenses with some of the finest optics in the world, they're also helping to build better artists! Don't forget to check out Tamron's Fall Savings Program going on now through October 28, 2017. Here's your chance to pick up some great deals on some of the very finest glass in imaging! Click on the banner in the upper right. Tamron's approach to both introduction of their products and education just keeps getting better. We all know there's not a lot involved in unboxing any of the gear we appreciate the most, but what I loved about Ken Hubbard's video below was the amount of information he packed into under two minutes. Interested in finding out more about the 18-400mm F/3.5-6.3 Di II VC HLD? Just click on any image in today's post. 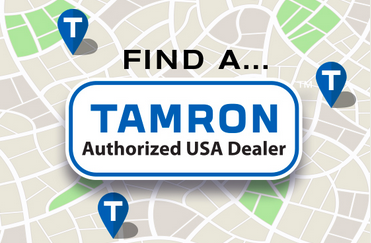 And, if you want to find a Tamron dealer nearest you, their dealer locator with all the is just a click away! Check out one of the most diverse content sections of Tamron's website with a click on the banner above. You'll never be disappointed in the helpful information they share. 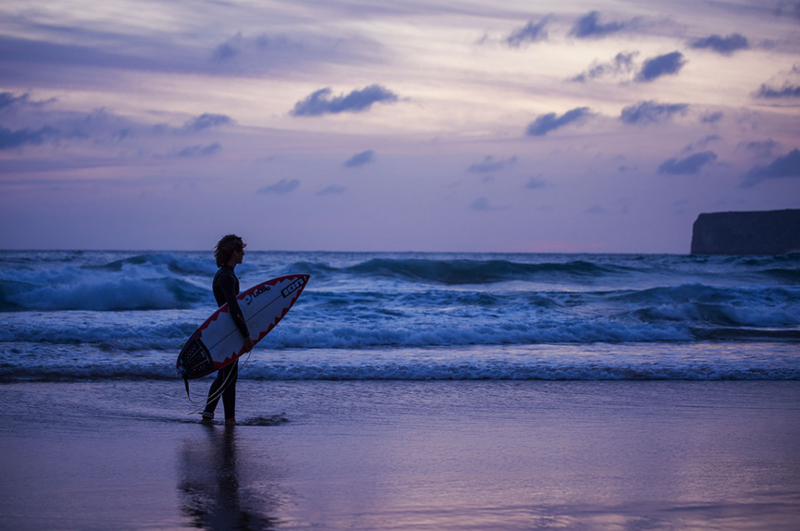 Click to travel with Ken to eight different locations around the U.S. I've shared a lot of great videos and blog posts about one my favorite people in the industry Ken Hubbard from Tamron. Whether it's one of his videos, a post or meeting him in person in the Tamron booth, he's always a wealth of information and support for photographers at all levels of expertise. This morning, while looking through Photo Tips and More, I ran across this feature, Travel Tales from the Hub, also known as "Where is Ken Hubbard?" 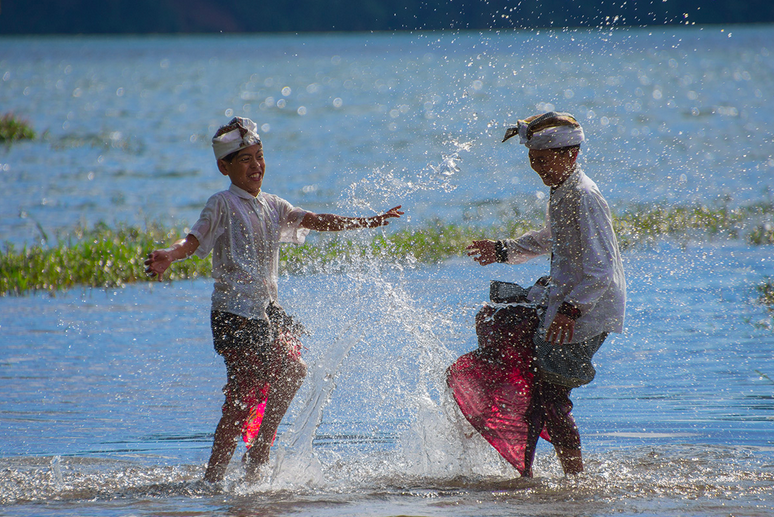 It's loaded with great content, written in a travel log format and filled with images. 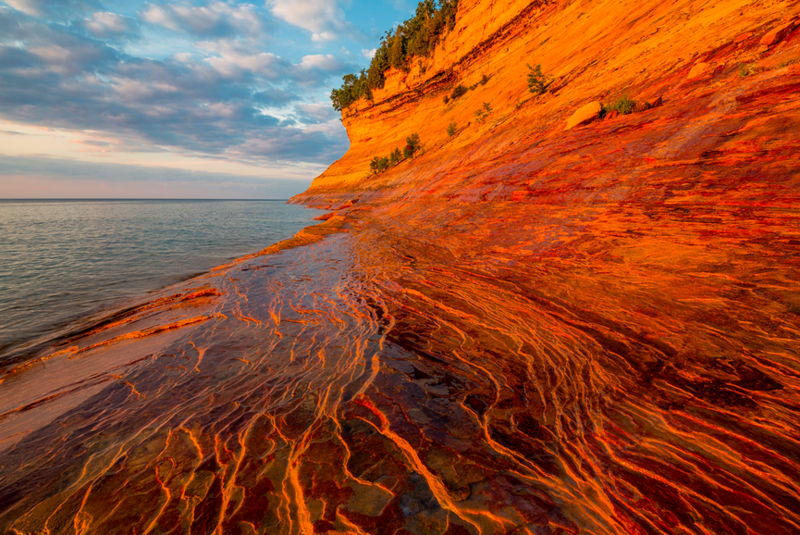 Each image has been captured with a different Tamron lens. Reading one of his posts was like taking Tamron gear out for my own test drive. 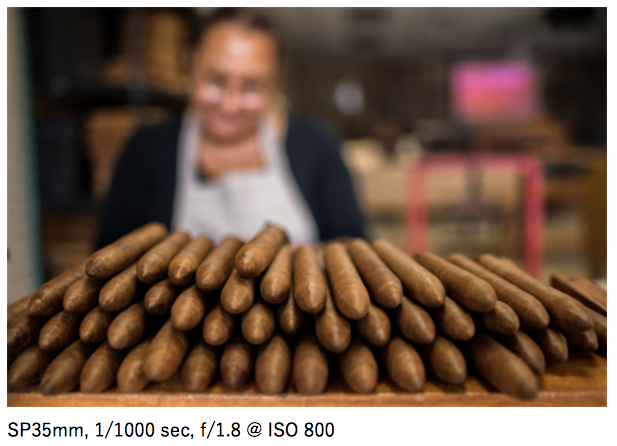 For example, his story on Miami, shared images captured with Tamron's SP35mm together with the specs on each shot. I loved his travel log on his trip with Tamron Image Master, Charley Voorhis to Wenatchee, Washington. They photographed the Cascade Loop and again, each image shared, ties to a specific Tamron lens. At the end of the story are links to each Tamron lens, giving you the opportunity for access to more information about some of the finest glass in photography! Tamron never slows down in their efforts to help you raise the bar on the quality of your images and technique. ​The tech team is on the road through the end of the year. 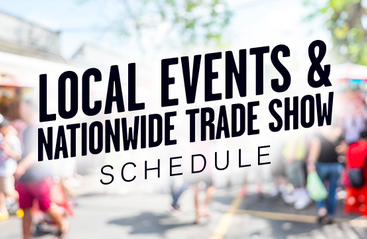 Just click on the banner to the right for their schedule with workshops at the Tamron dealer nearest you. Images copyright Ian Plant. All rights reserved. "When I travel far, and I need to travel light, I like to bring along an all purpose general zoom like a 28-300 mm that gives me a wide range of focal length options, and allows me the flexibility I need to get the shots that I want." What makes this such a great "how-to" video is Ian's ability to pack a lot of great information into just three minutes. 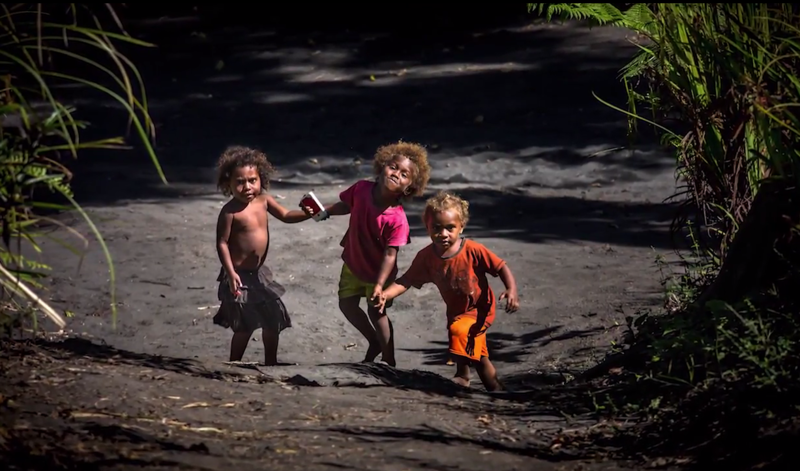 He shares some solid content about how he's shooting and why he likes the 28-300mm lens. He also talks about some of the features that help him the most, like image stabilization. Check out more of Ian's work with a visit to his website. You'll never be disappointed in the information and images he shares. 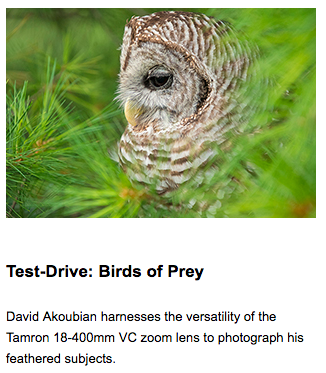 And, check out Tamron's 28-300mm lens with a visit to their website. Just click on the lens above. Then, visit the Tamron dealer nearest you with a click on the link below.